By any measure they are displaced dinosaurs; relics of a larger-than-life bygone era where the mind-numbing rules and regulations that have reduced most of our cars to motorised whitegoods did not apply. An era where it was cool to burn rubber, gulp fuel, brew moonshine and out-run the cops; cool to build an aerodynamic and totally impractical NASCAR for one man and cool to be part of both American dreams. In these green, mean and lean days, such vehicles are as politically incorrect as a plate-sized T-bone at Sir Paul McCartney's picnic. But hell, aren't they great! Holden, Ford and Chrysler were notably pushing the barriers of automotive excess in Australia at the end of the 1960s with their Monaro GTS 327, GTHO and Charger R/T Bathurst specials. But their inspiration came from the US, where NASCAR racing ruled the hearts, minds and chequebooks of Middle America. 'Win on Sunday, sell on Monday' was NASCAR's credo, with Ford and Chrysler going to extraordinary lengths in the fight for 'supercar' supremacy in days when speed thrilled, rather than killed. Chrysler, through its Dodge and Plymouth brands, was initially the leader of the pack in the late-'60s, pushing the sheet metal boundaries further than anyone else in a bid to carve an identity and gain market share. And in a nation where art and life are virtually inseparable, whether on film, TV or in politics, Hollywood soon got in the act, glorifying the pursuits of the 'good old boys' in Mopar's road-legal tarmac burners in the smash hit TV series, The Dukes of Hazzard. 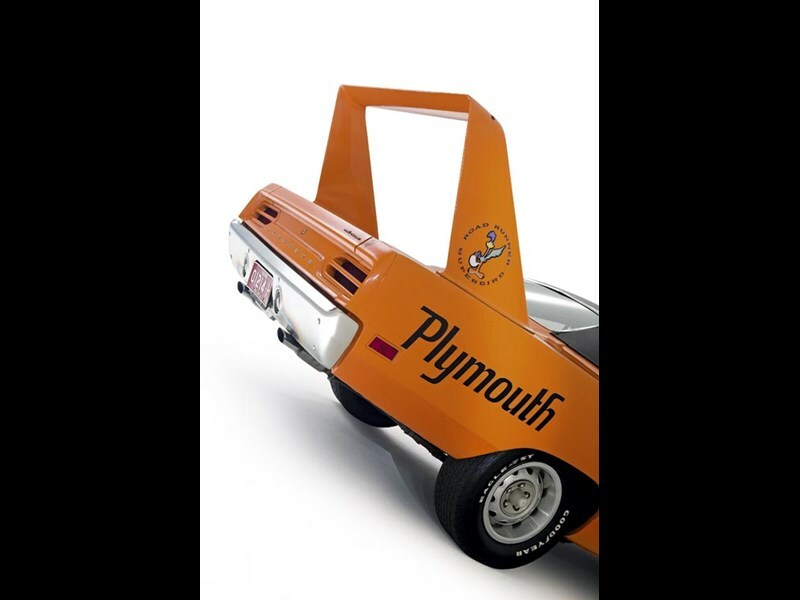 Developed specifically for NASCAR racing, the Superbird was a modified Plymouth Roadrunner and was one of the first American cars designed aerodynamically using a wind tunnel and computer analysis. Featuring a modified aerodynamic roofline, a protruding nosecone and an incredibly tall bootlid spoiler, the short-lived Superbird was built at considerable expense to beat the new Ford Torino Talladega around NASCAR's high-speed banked speedways. But Chrysler's well-developed sub-plot was also to get Richard Petty back to Plymouth. Disillusioned with the race car it had in store for him, 'King Richard' as he was known, left the Plymouth NASCAR Racing Team for a bucket of money in late-'68 to race for Ford and immediately brought success to the Blue Oval. Chrysler's response was spectacular and sparked what today is referred to as the 'aero wars' between the two carmakers. 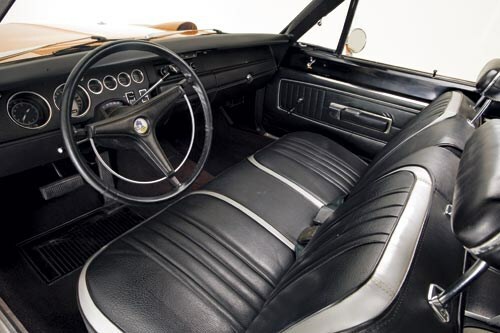 Chrysler had already learned some hard lessons on the ovals when the fastback shape of its earlier Charger generated so much rear-end lift at 300km/h that the wheels began to lose traction, with drivers describing its high-speed handling 'like driving on ice'. Ford in the meantime had done more homework on the effect of aerodynamics and its flat, nearly-flush grilles and fastback profiles saw Ford and Mercury combined for 26 NASCAR wins in 1968, while Ford took the manufacturer's cup. To make matters worse after snaring Petty, Ford hit the superspeedways in 1969 with its Torino Talladega and Cyclone Spoiler II models, both featuring stretched and tapered noses that delivered improved performance. Looking for aero answers during 1968, Chrysler called on engineers with aerospace experience, while wind tunnel tests were carried out at Wichita State University and Lockheed's aircraft facility in Georgia. Its interim solution, the limited-edition 1969 Dodge Charger 500, won some races, but the Fords and Mercurys were still aerodynamically cleaner, so for its new NASCAR Plymouth, Chrysler went back to the drawing board, using the no-frills Road Runner performance model based on the Belvedere as a starting point. Simply developing and transplanting the Dodge aero kit to the existing Belvedere body wasn't simple, as the two cars were dissimilar in their rooflines and rear window profiles, which made the Plymouth 'dirtier'. 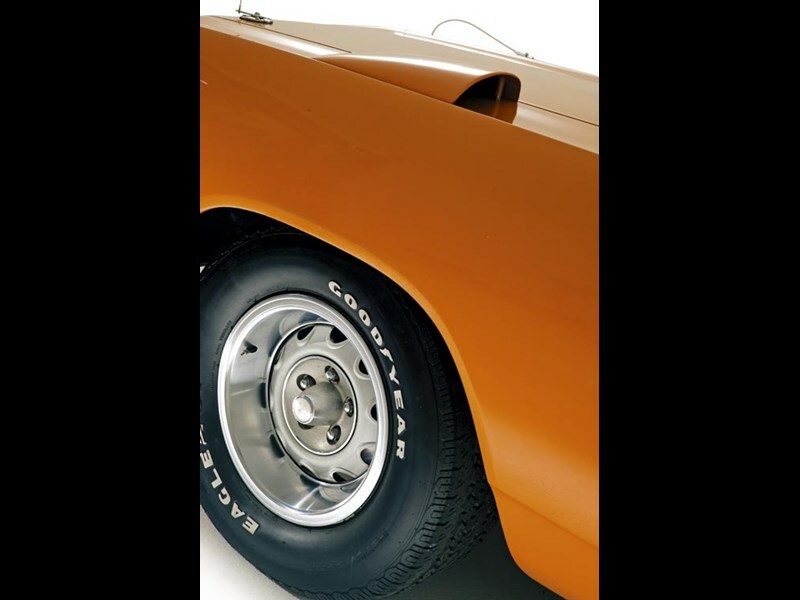 Plugging the gap between the roof and rear quarter panels improved the Road Runner's aerodynamics, but the costs associated with modifying such a limited number of cars were daunting. The cheaper solution, which was adopted, was to hide the welds and seams under a vinyl roof covering. The racing engineers initially wanted to tack the entire Daytona front-end onto the Belvedere body, but Dodge Coronet front mudguards were a better fit, while still being able to accept the long nose being designed for what was to become the Superbird. Backwards-facing scoops were mounted atop the mudguards over the wheel openings to exhaust trapped air and allow more suspension travel for the larger racing tyres, but on showroom models they were ornamental. The Superbird's smoothed-out body and nosecone with retractable headlights added nearly half-a-metre to the Road Runner's original length, while its enormous 60cm-tall rear wing - whose height had much more to do with clearing the stock Belvedere boot lid than aerodynamics - resulted in one of the most outrageous American road cars ever built. Finally 'Superbird' decals were placed on the outsides of the spoilers' vertical fins featuring a picture of the Road Runner cartoon character holding a racing helmet, while a smaller version of the decal appears on the drivers' side headlight door. Depending on your preference Superbirds came fitted with a choice of three V8 engines - the 426 Hemi, the 440 Super Commando Six Barrel (with three two-barrel carburettors) or the 440 Super Commander with a single four-barrel carburettor. Only 135 models were fitted with the legendary 317kW 426 Hemi, but around 650 scored the 291kW 'Six Pack'. 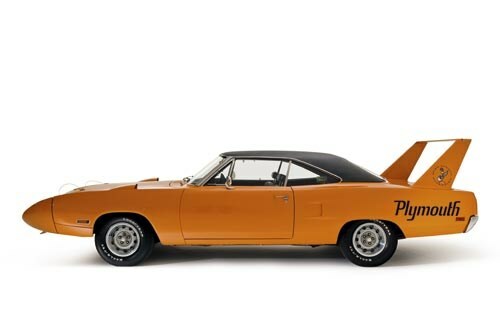 New NASCAR rules for the 1970 season called for two cars to be built for every manufacturer's dealerships in the US, which for Plymouth meant having to make 1920 Superbirds. On the street, the nosecone and wing made quite an impression, but the aerodynamic improvements hardly made a difference there or on the drag strip. In fact, the 1970 Road Runner without the aerodynamic aids was slightly faster over the quarter mile, but beyond 150km/h the Superbird became progressively faster and a lot more stable. However after the NASCAR fans and Richard Petty wannabes bought one, around 1000 Superbirds were still taking up space on dealers' lots, with many waiting some years to find owners at heavily discounted prices. New NASCAR rules for 1971 penalised all 'aero-cars' by limiting them to an engine displacement of 305ci (5.0 litres) so that they became slower and hence less popular with the racing teams and fans. Out of favour and out of fashion and at a hefty US$4298, many had their wings clipped and noses blunted to make them more palatable to buyers. But the Superbird wasn't built primarily for the public. Most importantly, 'King Richard' was impressed and he rejoined Plymouth for the 1970 season, winning five of 21 NASCAR victories in Superbirds and getting the cash registers ringing again in Chrysler dealerships for less ostentatious models. 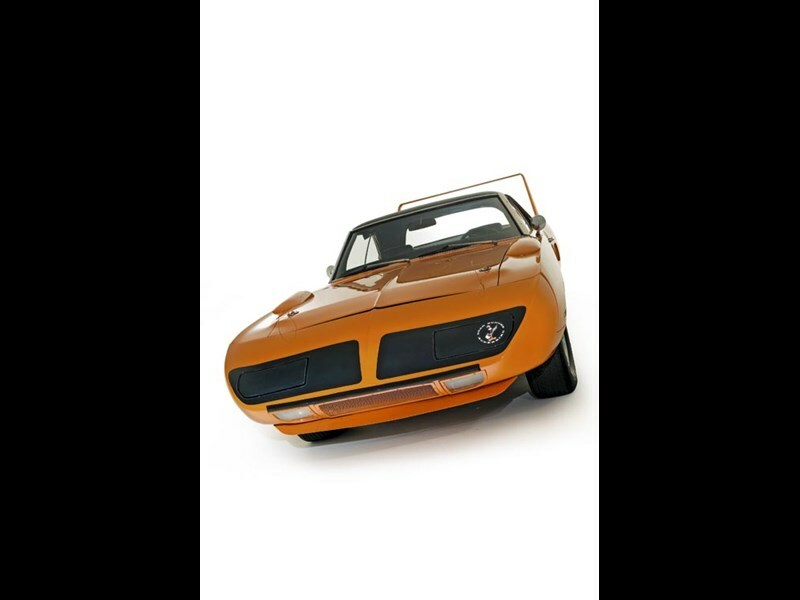 Today Superbirds, like many of the automotive excesses of that era, are eagerly sought after and are a highly desirable and appreciating asset. Victorian enthusiast Noel Watson has a real one, which he sourced from the US recently through Just Mustangs and believes it is the only original example in Australia. "I think it had three owners before I bought it - it's got only 51,000miles on the clock and drives like it," he said. "It's an original Superbird - one of 650 of the 440ci 'six barrel' models built. I'm sure of that because it all checked out on the (US-based) Winged Warrior club register, so I couldn't be happier." The matching numbers car was not cheap, with Watson having to sell off a '68 Charger and a '69 R/T Coronet to get it. "I had an original Hemi four-speed Road Runner for about 10 years, but I always wanted one of these," he said. "It's sensational to drive provided you look out for the nose when turning and it's got heaps of power. Forget GT-HOs and Ferraris - this is my dream car." 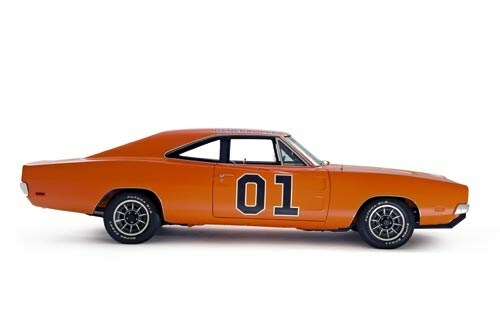 While most car enthusiasts will recall the sinister black Dodge Charger stalking Steve McQueen's Mustang through the streets of San Francisco in the cult movie Bullitt, the best known Charger will always be the famous 'General Lee' - the bright orange '69 model with a Confederate flag on the roof that played a starring role in the The Dukes of Hazzard. The American TV series featured the adventures of Bo and Luke Duke; two hick cousins living in fictitious Hazzard County, Georgia. The pair had been sentenced to probation for running illegal moonshine and the series followed their exploits as they raced around in the General Lee, evading corrupt county commissioner Boss Hogg and his inept county sheriff Rosco P. Coltrane. However as the General Lee was used for a variety of high-speed pursuits, jumps and stunts, it became a celebrity in its own right. 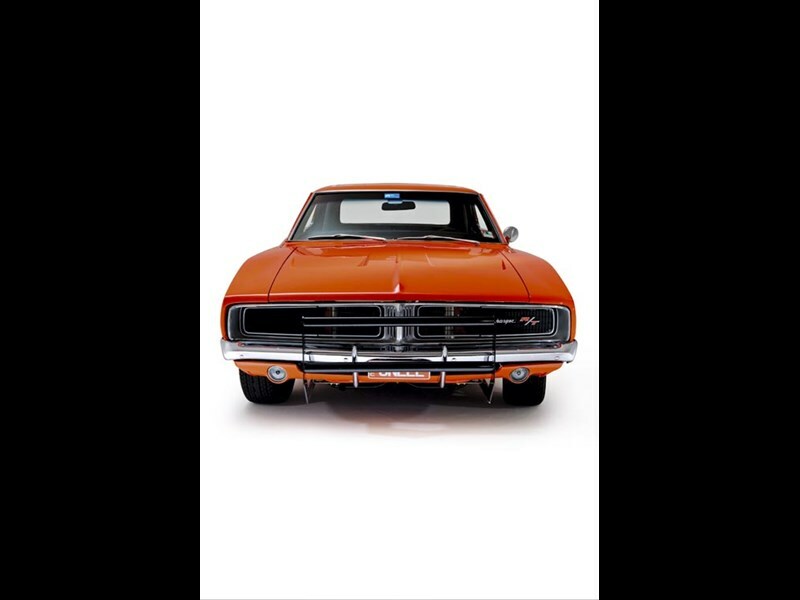 The '69 Charger was a logical 'hero car' for the 'Dukes', as it was already an iconic muscle car in its own right by the late-'70s, when the TV series began. In its '69 guise, it still carried the distinctive styling of the original '68 model updated with flush taillights and a divided blacked-out grille, while the high performance R/T pack boasted a Magnum 440ci V8 engine with four-barrel carburettor, delivering 280kW through a three-speed TorqueFlite transmission, while a four-speed manual was a rare option. The R/T option also included a handling package consisting of heavy-duty torsion bars, shocks, extra heavy-duty rear springs and sway bar, plus the option of front disc brakes. Rounding out the spec sheet were dual exhausts with chrome tips, heavy-duty brakes, F70-14 Red Line tyres and Bumblebee stripes. 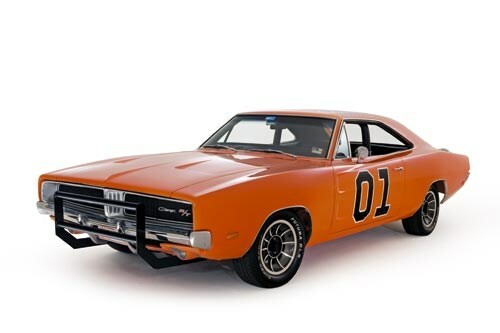 From 1979-85, it's believed that around 309 Chargers were used in episodes of The Dukes of Hazzard, during which they were routinely destroyed at the rate of one or two per episode while performing their punishing stunts. 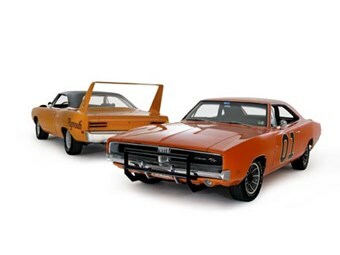 The first General Lee cars were built for Warner Bros by Andre and Renaud Valuzet, before production shifted in-house; each later vehicle having to meet strict guidelines for filming continuity. Of these, it is estimated that only around 23 originals survive today, although 'guesstimates' on the number vary. Engines in the TV show General Lees were a mixed bag, with 318, 383 and 440ci V8s all used. 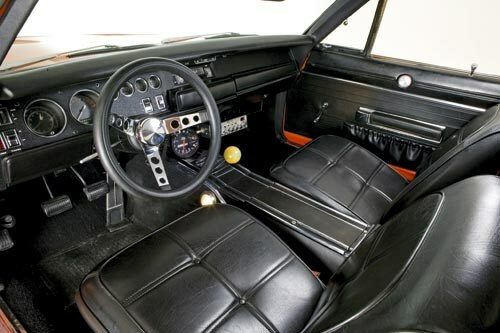 The stunt drivers tended to prefer the higher-performance 440s for jumps and though early sound effects led many people to believe otherwise, only a handful of the General Lee Chargers had manual transmissions, with the majority packing three-speed autos. By 1983, Warner Bros turned total control of building General Lees to a man named Ken Fritz. 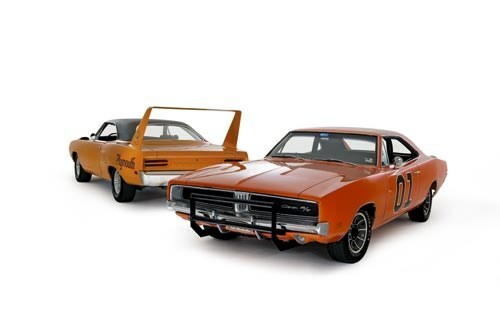 As the General Lee was now the highlight of the series Warner Bros was receiving an enormous amount of fan mail that nit-picked the inconsistencies of the cars, so the later coupes including display vehicles were built to a strict appearance, even on the underside. 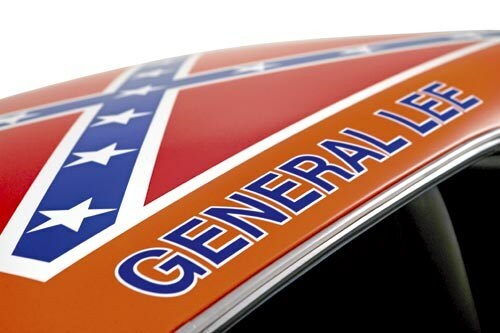 Finally, a company called General Lee Enterprises, that was partially financed by Gary Bixley, a stunt driver for the show, built a small number of cars in the early-'80s that Warner Bros used for promotional work and some close-ups in filming. It's hard to know how many genuine General Lees there are in Australia, as many Chargers of that era have over the years been decorated with paint and sticker schemes reminiscent of the TV star; however Melbourne enthusiast Vlad Kovacevic is confident he has the real McCoy. Vlad was in the US on a business trip last year when he heard of several General Lee cars being sold by a company in Chicago and immediately flew there. "They were all rubbish except this one car, which was absolutely beautiful," he said. "I'd seen the Dukes of Hazzard as a kid like everyone in my age group (he's 38) and it was like a dream coming real." The genuine '69 Dodge Charger 440ci R/T he bought on the spot and subsequently shipped to Australia was one of the handful of General Lees built by General Lee Enterprises in the early-'80s and it was like brand new. "The first owner bought it from them in 1982 and it later spent 20 years in storage in Kentucky before it had a full restoration," he said. After getting it back to Australia, he lavished a further $30,000 on the car, fully-rebuilding its rare four-speed manual drivetrain and tidying the car up to show condition inside and out. It wears Victorian 'GN-LEE' number plates. But now it's for sale. "Basically, it's too original," admits Vlad. "I love it, but I want a car I can play with, fit a stereo, bigger wheels, maybe a blown engine and I wouldn't do that to this car." He's asking $300,000 or thereabouts (ph: 0418 312 151). "If you want rubbish, I can show you where to find it," he said. "But this is the real thing. I've got all the documentation to prove it." Victorian enthusiast Noel Watson wanted a Superbird for 20 years before finding his in California last year. "I'd read all about them since the days when Petty raced one and to me it was the ultimate Mopar," explains Noel. "Then I saw one in the metal on a visit to the States in 1991 and I said to myself, 'One day…'"
Watson's 'consolation prize' in the interim was a 426 Hemi Road Runner that had been in Australia since the 1970s, but which he bought and restored. Then last year one of his friends retired and within three months got cancer. "I then realised that I couldn't go on dreaming forever and if I was going to get a Superbird, it was now or never." So he bit the bullet and tracked one down but when he found the car he wanted in California he knew he had a hard decision to make. "I couldn't afford to have both cars and the Superbird was big money," he said. So the Road Runner - the only genuine Hemi 426 four-speed manual in the country - had to go. "That was really hard, I can tell you." His three-speed automatic Superbird with column gear selector and a believed-genuine 51,000miles on the odometer was one of the last to be built in December 1969, but like many of its brothers, did not find a buyer until January 1971, when it was sold in South Carolina. It's everything he dreamed of, with the exception of the non-original metallic fleck in its Vitamin C orange paint, but he's not planning to change a thing. "It's a sensational car," he said. "It's the ultimate Road Runner. It's got a little less power than the Hemi, but it's still very fast." Watson is also restoring a 1969 Dodge Coronet R/T but says he'll never sell the Superbird. "There will never be a car like this again," he said. Join Unique Cars magazine for its 2012 Oz vs USA muscle-car showdown.